However, there is a bit of good news for plaintiffs who acknowledge there is another potential defendant, but don’t know his/ her identity. (We see this in hit-and-run crashes and so-called “phantom vehicle” cases). The saving grace there is uninsured motorist coverage (UIM) benefits. Recently, a car accident lawsuit before the New Jersey Supreme Court dealt with this issue. 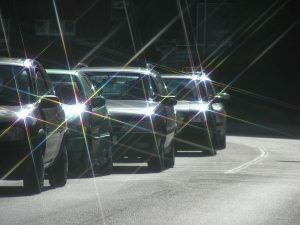 According to court records, plaintiff was driving a car in the left lane traveling north, while defendant driver was directly behind plaintiff. As the left lane traffic started to move through an intersection, a vehicle in the right lane, driven by an unknown motorist, unexpectedly made a left turn. In so doing, that driver cut off the motorists in the left lane. Plaintiff successfully stopped his vehicle without slamming into the vehicle in front of him. However, defendant was not able to stop in time and rear-ended plaintiff’s car. Plaintiff reportedly suffered injuries as a result. Rear-end collisions are often fairly straightforward cases because there is a rebuttable presumption of the rear-driver’s fault, which means the case starts with the proof burden on that defendant driver. However, this case was complicated by the fact of this other unknown driver. The plaintiff did not name the other unknown driver in the lawsuit (usually done by indicating “John Doe” or “Jane Doe”), but the defendant asserted a third-party negligence claim against that motorist (with cross-claims for indemnity and contribution from any co-defendants) and demanded fault allocations against any defendants that might settle prior to the trial. Plaintiff’s uninsured/ underinsured motorist carrier chose not to intervene. At the end of the trial, despite plaintiff’s objection, the trial court decided to include John Doe on the verdict sheet and instructed jurors to allocate fault between defendant and John Doe in the event both parties were found negligent. Jurors found defendant 3 percent negligent, while apportioning 97 percent of fault to the John Doe defendant, awarding plaintiff $108,000 in damages. Plaintiff appealed, but the appellate court affirmed, finding the alleged tortfeasor (wrongdoer) in a case doesn’t need to be an identified party for his or her negligence and degree of responsibility to be decided by a jury. The state supreme court reviewed at plaintiff’s request and again affirmed. Here, if John Doe had been an identifiable person, it’s possible plaintiff would not have been able to collect damages. However, it’s likely in this situation the UM/ UIM carrier will be responsible for paying out that portion (or at least some of that portion) of the judgment, depending on the policy limits. This is a frequent problem in hit-and-run and phantom vehicle crashes – and that’s why we have UM/UIM insurance. Still, the case underscores the need to carefully investigate every angle of a West Palm Beach car accident and identify every defendant possible.